Sandwich is considered to be one of the most comfort foods of all times. It is simply because sandwiches are easy to make and taste the best. Today, there is a variety of sandwiches available in the market including caprese, eggplant-mozarella, pesto Turkey, cheese sandwich, vegetable sandwich and others. However, if you are making a sandwich all by yourself then you should read this blog further. It discusses some of the rules that you must follow for sandwich making. Choosing the right bread- The first step towards sandwich making is to choose the right bread. You must know that according to what type of sandwich you are making, you will have to select the right bread for it. If you are making a moist filling then you will have to use a dry and dense bread. Since the crust of this bread is a little hard, it prevents the material of the sandwich from falling off. After you have stuffed it, you can grill, roast or simply heat it a bit. If you like it have it the way it is then you may just keep it cold. Also, you can choose between the white bread and the brown one, keeping in mind that the brown bread is much healthier than its white counterpart. The right spread- With a spread, you can enhance the taste of your sandwich. Today, there are umpteen variety of sandwich spreads including mayonnaise, BBQ, cheese and others. If you like chocolate then you can choose the chocolate spread and look out for other varieties to develop your taste. Also, you can prepare the spread at home according to your taste. No sogginess- There should be no sogginess in the sandwich. For this, you can spread the sauce evenly till the edges of the bread. With this, you should always add the watery ingredients like cucumber and tomatoes separately. Using a slice of meat and cheese can prevent your bread from being soggy. Add changes- You can always make changes to your sandwich. The common style of making of sandwich is to use tomatoes in every type of it. However, this time you can try some other ingredient like roasted peppers, carrots and rings of onions that will not only add crunch to your sandwich but will also make it tastier, as contrary to tomatoes that are likely to make your bread soggy due to the moisture it lends to food. Do not overstuff- If you think that overstuffing the sandwich will make it tastier and appealing then it might backfire. When you overstuff your sandwich, it tend to fall apart and you will not be able to hold your sandwich properly. No doubt, you can choose to have hung curd and extra vegetables on your sandwich but keep it simple. You can start the layer with marinara sauce and then top it with the layer of rough green vegetables like cabbage or lettuce. After this layer, putting a layer of all the slippery ingredients would be a good choice. The friction created between the rough greens and cheesy materials will prevent your sandwich from falling off. If you think that you can’t manage a sandwich making yourself then you must visit a coffee café franchise nearby your place. Visit a coffee franchise that offers a wide variety of sandwiches and with it offer the best coffees and shakes. 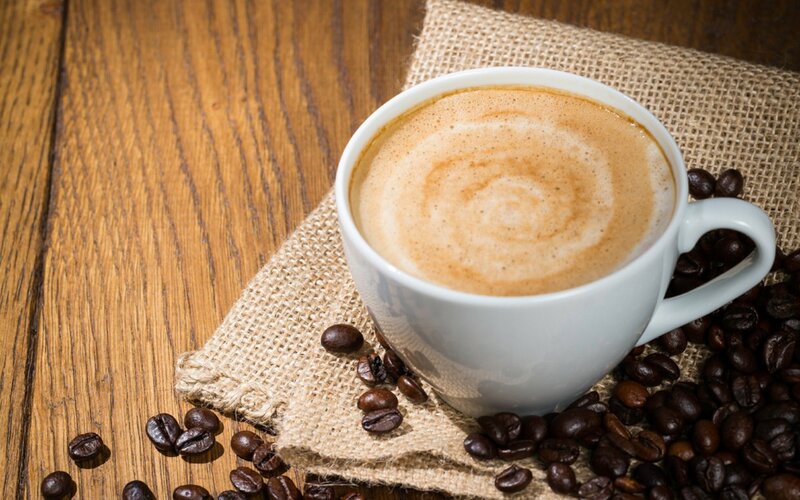 To find one such café, you can browse through the internet and shortlist the cafes that hold a good record of satisfying the customers by offering the finest products and customer service. Since many of these cafes are registered on various food apps where the customers leave a review after they have paid a visit to that cafe, you can go through these reviews. You will get to know the experience of other people who have been to that place and then decide whether to try that café franchise or not. After you have chosen the best franchise, you can taste the sandwiches of the most unique flavors. Thus, it is the time to savor the sandwich that tastes perfect and satiates your taste buds. Have a happy eating! ⟵How to beat your caffeine addiction?